Somerville—February 21, 2013—The Committee to Elect Mark Niedergang announced today that it will host a party and fundraiser to kick off his campaign for Ward 5 Alderman on Sunday, March 3rd, 4-6 PM at the Armory, 191 Highland Avenue, Somerville. The Committee promises delicious free food from Redbones, Taco Loco, and Gauchão , fun entertainment, and provocative discussion. Alex the Jester will entertain. State Representative Carl Sciortino (Somerville/Medford) will speak. 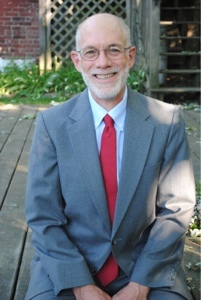 Mr. Niedergang has been elected four times to represent Ward 5 on the Somerville School Committee, serving in that role since 2006. He worked in the Somerville Police Department and Mayor’s Office of Human Services under Mayor Michael Capuano in the late 1990s. He has been a volunteer and Board member in many community organizations. The kickoff is open to the media and the public, with a suggested contribution of $50 per adult. The Campaign reported that over 125 individuals and families have already made a financial contribution to the Campaign and that fundraising went well in 2012. More information about Mr. Niedergang, his record on the School Committee and views on the issues is available at the Campaign website, www.MarkNiedergang.com. Just moved the picture up to the top.